When a sole trader decides to change the structure of their business to become a limited company, they take on a number of new legal and accounting responsibilities. Additional reporting and filing obligations, plus a legal duty to run the company responsibly, considerably increases the administrative aspect of being in business. In some cases incorporation may be the obvious next step due to rapid growth, or it may simply be a personal preference of the business owner. It’s a big decision, however, and one that should be supported with professional guidance at all stages. As there isn’t a specific time when incorporation needs to take place, what should be taken into consideration before taking this step? Limited liability for company directors is one of the main differences between incorporation and sole tradership. Sole traders are personally responsible for the debts of their business, but under normal circumstances the liability of company directors is limited to the amount they invest. 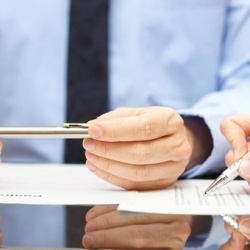 The business is a separate legal entity in this case, and directors hold shares rather than being personally responsible for the contracts taken on by the business, and any business debts. Once a sole trader has paid their income tax and National Insurance liabilities through the self-assessment system, all profits are theirs. The profits of a limited company, however, actually belong to the company due to its separate legal status. It’s also noteworthy that company directors have more than one option to extract money from the business, whereas sole traders are limited in this respect. Directors typically take a salary through the PAYE scheme, but are also able to benefit from a lower dividend tax rate by taking regular dividend payments throughout the year where appropriate. Limited company names are protected by law, and recorded in the register at Companies House. Consequently, there’s no risk of someone else setting up a business with the same or a similar name. This allows directors to confidently build a coherent presence within their market, and protect their brand over the long-term. 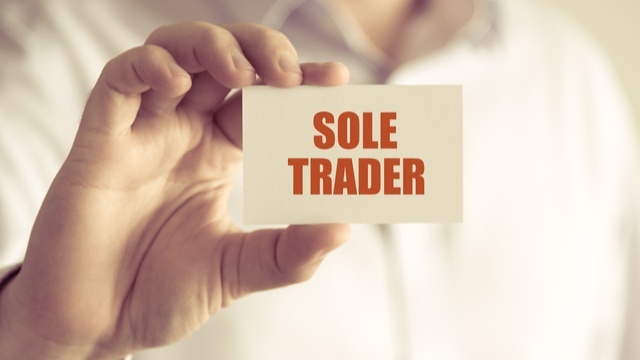 Sole traders run the risk that their business or trading name will be used by another individual, potentially losing business or negatively affecting their well-built reputation in the community. Limited companies are sometimes viewed more favourably by potential clients and suppliers when compared with sole traders, and in some industries incorporation provides a significant advantage as organisations will only engage in business with other incorporated entities. This elevated status has real impact on a day-to-day basis, providing a strong platform for sustainable growth. Some sole trader businesses are advised to incorporate when they reach a certain level due to their growth potential and additional opportunities to attract investment as limited companies via the sale of shares. Whilst many benefits emerge when incorporating a sole trader business – limited liability being the most obvious – company directors aren’t totally protected from personal liability. 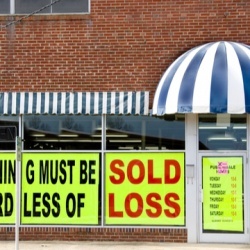 If the business is liquidated, they face investigation by the Insolvency Service and may be pursued through the courts if misconduct or unlawful trading is discovered. Handpicked Accountants operates a nationwide network of qualified accountants, and provide referrals to business owners around the UK. If you are a fully qualified accountant and are interested in becoming part of our network, please get in touch with one of our partners. We’ll let you know more detail about how the system works, and the potential benefits for your practice.